One of the things I enjoy the most in this world is watching The Monty Python’s Flying Circus. I’ve enjoyed it since I was 10 years old. When I am in a bad mood, all I need to do is to put the disk in to my DVD player. Afterward, everything makes sense again and I have a smile on my face for the rest of the day. 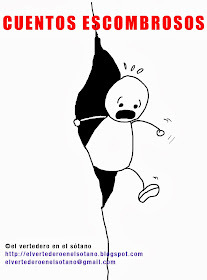 I am not the only person with this feeling. The Monty Python troupe includes some of the most influential artists in this world. Keep on reading, and maybe you will learn interesting facts about The Monty Python. Do you think now I am going to start to write their bio? I don’t want to bore you with it. If you are interested in stuff like that, try it on Wikipedia. You won’t regret it. You will be satisfied and I will have saved a lot of time copying-pasting and praying not to be caught. What I want with this essay is to tell you why I like The Monty Python. Believe it or not, my first contact with these geniuses was through a Spectrum video-game. It got worse when I turned 14. I was home alone, and I expected my friend to bring some adult movies. He brought it indeed: a video-cassette with episodes of “Monty Python's: Flying Circus”. The next two hours were full of laughter. I had Monty Pythonefteria, which definitely is not as bad as diphtheria is; but unlike this one, my illness had no cure. Both diseases make you do funny noises and leave you breathless, of course, but at least you can prevent diphtheria. 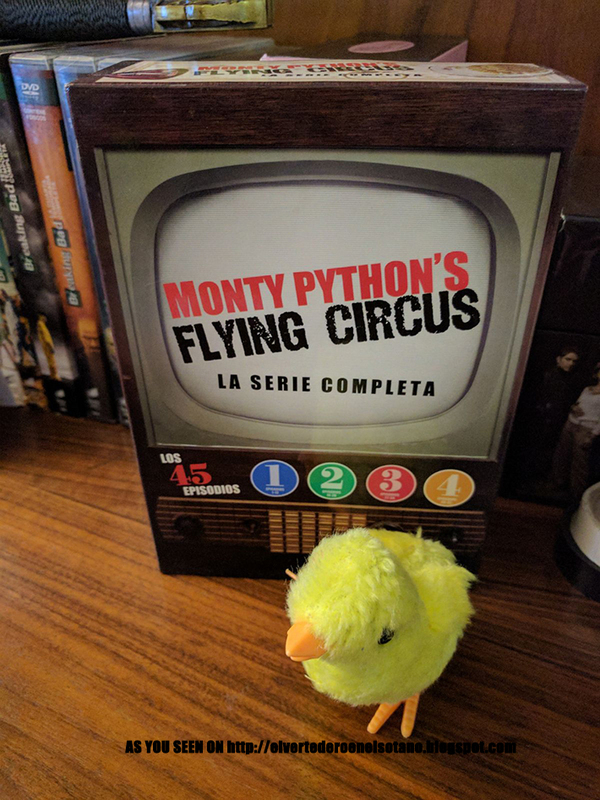 Since then I’ve tried to collect all the Monty Python’s Flying Circus episodes and all their movies. Now, after almost 20 years there are no enough “collector’s editions” to satisfy my hunger. Now I could list their episodes and films but, remember, it is all about “Me”, not the Monty Python. If you want to know more, try it on Imdb.com, a website even “more better” than Wikipedia. You could think, “You are just a fanatic”. Of course I am. “No, you are not”. I’ve talked at the beginning about a video-game, but do you know the “Python language”? Unless you are a nerd, you don’t. The fact is that the Python is a programming language named after the Monty Python. Let’s try another one: “Spam”. You don’t need to be a nerd to know this word. Well, the spam is called spam after a Monty Python’s sketch. They didn’t invent the word, but they popularized it. Besides, shows like “The Simpsons”, “The Big Bang Theory” or “The Office”, are full of references of these comedians. Such cultural influence can’t be by chance. This cultural influence is the result of their grandiosity. According with clichés: People tend to think the “British sense of humour” is ironic, intelligent and sophisticated. Monty Python are claimed as the best representation of the “British sense of humour”. I wonder if the people know the Monty Python. They are not anything else than surreal. Moreover, they are not totally British: Terry Gillian is American. Enough said. The Monty Python are one of the most impressive humorists in the world. They are prolific, originals, funny and influential. Video-games, tv series, films... Their acting will be remembered and other artists will pay them tribute for centuries. Do you want to know more? Read a book. It is always a good choice. Review of Gravity (Alfonso Cuarón, 2013).